Located in the heart of the historic 12th South neighborhood, the Flipside offers a one-of-a-kind chicken experience with a unique spin on a Sicilian staple. We serve lunch, dinner, and offer a brunch experience that can't be matched. 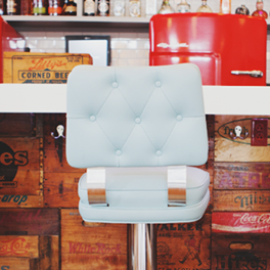 If you're thirsty, try one of our craft cocktails or signature milkshakes. Our beer selection includes local favorites and classic standards. Join us for $2 draft beers Monday-Friday from 2pm-6pm, 2-for-1 margaritas every Tuesday all day, and 2-for-1 belinis, mimosas, bloody marys, and sangria on Saturday and Sunday from 11am-3pm. Don't forget our Friday Night "DooWop to HipHop" Dance Party starting at 9:30pm. 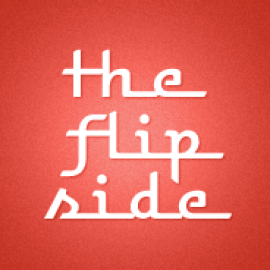 The Flipside is a 12 South Nashville neighborhood restaurant that features retro-chic diner stylings with cherry red fridges and '50s TV memorabilia, as well as a variety of eats from world famous "Jack's Best Chicken."